Ever since I started my new job, I've felt like I never have any spare time. I've learned to treasure weekends and Friday nights because of this. 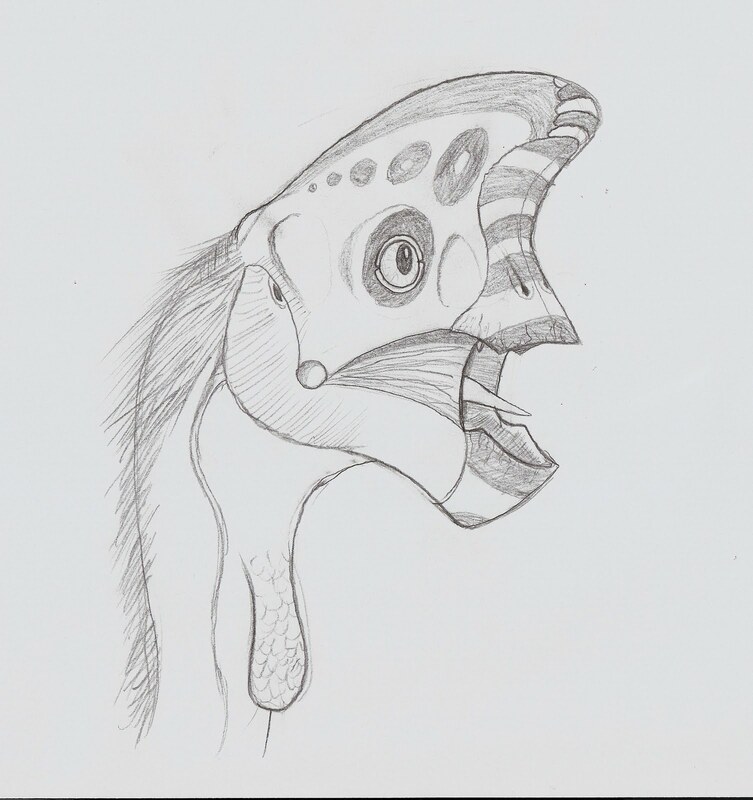 Last night, while my wife was chatting with a friend, I whipped up this general oviraptor sketch. It may warrant further tinkering, inking, and coloring next time I find myself with free time. The picture is somewhat inspired by Andrea Cau's recent discussion on oviraptor beaks and how far up the skull they extended. Also, progress! Summer is coming along nicely, although it still hasn't hit 60 degrees yet. Buds are just now appearing on the trees. There's a whole new world for Ozzie to sniff. Oh yes, every corgi needs several hundred different things to sniff to prevent boredom. Teddy was particularly partial to goose crap. And hedgehog crap. And cat crap. I like your oviraptor, there's something about its expressiveness that makes it feel like an animated character.